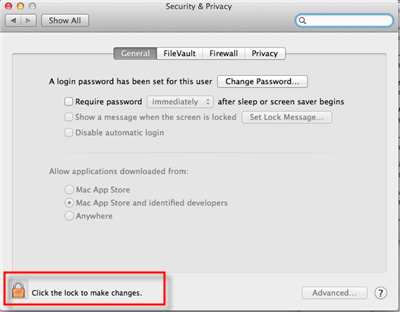 you open “security and privacy” setting window, click Lock icon at left-bottom corner to unlock, so you can make changing. you select “Anywhere” item in “Allow applications downloaded from” section, it is done, you run our app. 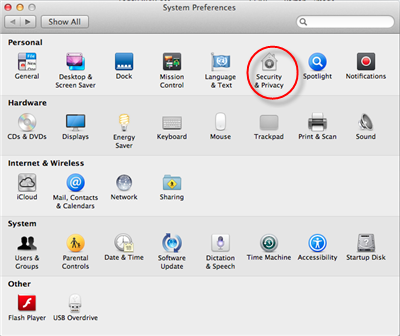 If you’re running OS X Mountain Lion on your Mac there’s a feature you should know about called — Gatekeeper. The primary function of Gatekeeper is to prevent malware like viruses and trojan horses from getting their hacking hooks into your Mac. 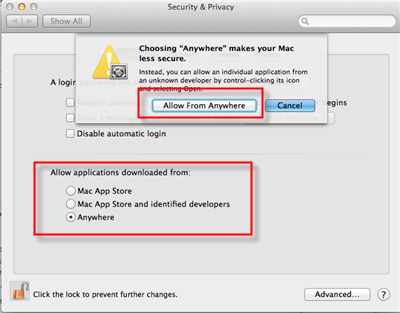 Gatekeeper does this, by default, by only allowing apps that are downloaded from the Mac App Store or from “identified and trusted developers” be opened. 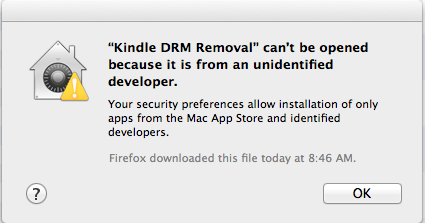 But app downloaded from our website safe, though the developer didn’t or couldn’t get a trusted certificate from Apple? (For example, Jailbreak software). There are a few ways to bypass Gatekeeper if you run into this issue. we have show you how.